Assorted thoughts and reflections on technology in education. 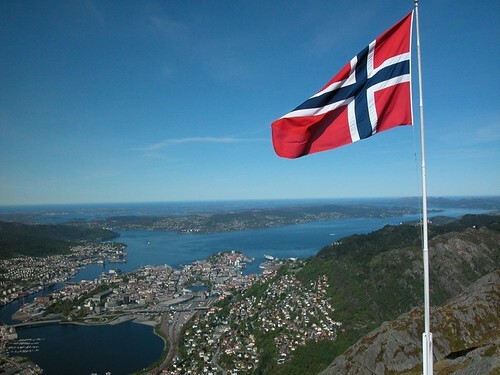 Norway became the first country in the world to appoint a government commission to examine the potential of MOOCs from a national perspective. 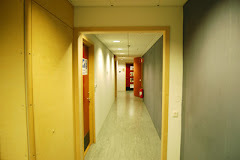 In June 2013 the Ministry of Education appointed a committee of academics and educational experts to investigate the opportunities and challenges that the rapid growth of MOOCs pose to Norwegian higher education. The commission has now (16 June) presented its first full report and since it is at present only available in Norwegian it might be of interest to the rest of the world to get an overview of the conclusions (read the Norwegian version). The commission defines MOOCs in very loose terms; online, scalable and open. As often mentioned every letter in the acronym MOOC is negotiable and the report does not restrict itself to any particular variation on the MOOC concept. This can cause confusion since the divisions between MOOCs, other forms of open education and regular e-learning often get blurred but the commission decided to cover all forms of the concept. The focus is however mostly on the high profile xMOOC interpretations of Coursera, edX etc rather than on the more undercover collaborative MOOCs offered by networks of teachers. The report comes quickly to the point providing its main recommendations in chapter 3 with all the hard data and background coming afterwards. The recommendations are divided into two areas. A major national investment of up to €16-47 million annually in the coordinated development of online education in the country. This includes the formation of at least one national MOOC platform, research-based competence and knowledge development, cooperation between higher education and industry in using MOOCs for work-related training and research into learning analytics. Create a clear Norwegian MOOC profile and cooperate in the Nordic region. Active promotion of open educational resources (OER). MOOCs that lead to credits should be included in the national educational system. Focus on raising the quality of online higher education and competence development for teachers. Questions about online examination security must be resolved. A national review of validation of informal learning and workplace experience. An inquiry on whether MOOC students should qualify for study loans and grants. The establishment of financial incentives for collaboration between universities in the development of online education. The wide experience of quality online learning that is already present in the country’s institutions should be the base for any MOOC initiatives. Institutions need to invest in digital competence development for all staff. Institutions actively promote the use and creation of open educational resources. Improved routines and opportunities for recognition of prior learning and competences. Institutions should use MOOCs to leverage national and international collaboration. The report gives a thorough and balanced analysis of the international development of MOOCs and acknowledges that MOOCs are only part of a wider development of open education and online learning. The background is well documented and happily also includes the origins of the term in the connectivist courses (cMOOCs) developed and still run by pioneers like George Siemens, Stephen Downes, Dave Cormier, David Wiley, Bryan Alexander and many more. They also take into consideration the fact that there is no clear standard MOOC model and that even within the major consortia like Coursera there is considerable variation in pedagogy, student interaction, assessment and structure. They have not fallen into the trap of simply looking at the mainstream hype but point to how MOOCs have opened people's eyes to the future role of online learning in all educational sectors. The positive effect of the MOOC hype has been that it has pushed a discussion of online learning on to the agendas of top management. Norway (and several other European countries) differs from leading MOOC nations like the USA in that higher education is free and not subject to high fees. Due to this the report feels that MOOCs will affect Norwegian higher education in different ways than in the USA and England. The accessibility of global MOOCs will stimulate Norwegian institutions to improve their own online courses and this quality focus will naturally also improve campus programmes. National and international collaboration will be another positive result of the opening up of education that MOOCs have been the catalyst for. However none of this will happen without strategic funding, incentives and strategies. One aspect that is not covered here is that there are many examples of open online learning that don't (often deliberately) call themselves MOOC but share many common characteristics. The OER university partnership is mentioned but maybe deserves more attention since it attempts to provide a framework for offering credible credentials for non-formal and informal learning. A Norwegian member of the partnership would be a significant move to legitimize open learning in Norway for example. I have not found any mention of other open learning platforms like P2PU (Peer 2 Peer university) who have been facilitating MOOC-like collaborative learning for several years as well as platforms like Udemy that allow teachers and specialists to create and market their own courses. However a report cannot cover everything and the important point about this one is that it has been produced at governmental level, showing clearly that open learning has at last reached the corridors of power. An English version of the report is promised in the near future. thanks for this post. It ts realy important to understand that the norwegian government puts online education in their strategy and are investiment in the sector. excellent summary and great report on the developments. Exciting to see that the central government is adding policy and real investment to the mix. Addressing the skills-gap, offering new methods of delivery building on the strength of the current system. Would be interesting to see how soon the regional development materializes. Excellent summary and an exciting development to see central government adding policy and real investment. Addressing the current challenges of addressing the skills gap and flexible delivery with the current ecosystem is the way to go. Interested to see how soon the regional collaboration materializes. Hi Alastair, has there been any followup/feedback/controversy around this MOOC report? ...and is there an English version yet? Peter, the general discussion in Norway has been positive and they promise an English version in August/September as far as I know. Born in Dundee, Scotland and have lived in Sweden since 1983. I work with net-based learning at Linnaeus University, Kalmar in south-east Sweden with particular interest in social media and open educational resources. How many devices do you need in a classroom? Stephanie Folling-Fitzgerald: What Values Are We Placing in Our Schools? This work is licensed under a Creative Commons Attribution-ShareAlike 4.0 International License. This applies to the texts of the blog posts. Photos may have other license forms and are attributed as such.